Posted by Amanda Hicks on Tuesday, March 27th, 2018 at 2:24pm. 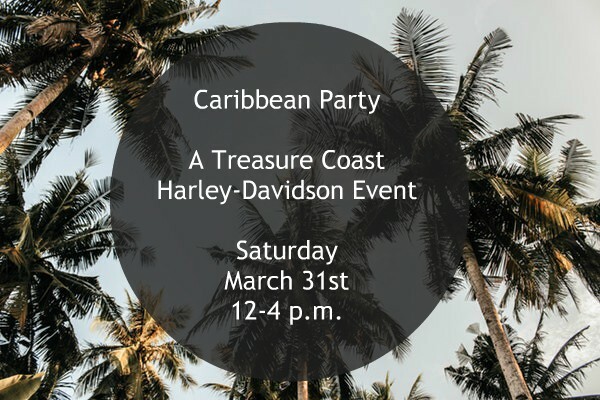 Whether you're into bikes or just looking for something to do, the Treasure Coast Harley-Davidson in Stuart hosts fun get-togethers every week for the community. Some common events include chili cook-offs, throwback nights, neighborhood block parties and the weekly Sunday Funday which includes $1 hamburgers, hotdogs and pretzels, and free beer. Because of the holiday there's no Sunday Funday this week, but instead there's a Caribbean Party on Saturday! Enjoy live music from Reel Ting Steel Drum Band from noon-4 p.m. with yummy jerk chicken and free rum drinks! Plus cool bikes and cars usually show up at the events and you'll see everything from wacky paint jobs to classic antiques. The inside of the shop is pirate ship themed and there's plenty of interesting gizmos to check out. Stop by and say hi, hang out for a while and see what you think of the free tropical party at Harley-Davidson. For more info and to see what other events the shop has coming up, click here.